The latest Destiny 2 update trailer is mostly about a weapon we knew was coming back – and it also basically confirms that Thorn will return in the Season of the Drifter. Before that, however, we’re finally getting the quest that’ll let us claim the Last Word in Destiny 2. On January 29 – that’s tomorrow – the Draw Exotic quest goes live in Destiny 2, which will finally finish off your path to get the Last Word. The trailer provides our first real look at the weapon and what it’s capable of. Judging by the flurry of shots and takedowns we see, it’ll be capable of a three-tap kill on just about anyone in PvP. That trailer ends with the message that “every hero needs a villain” as a series of corrupted bullets strike a wall – indicating that Thorn is set to return soon. Dredgen Yor used Thorn to kill Jaren Ward, the Guardian who held the Last Word, and Ward’s protege Shin Malphur took up the weapon to kill Yor in turn – which is how these hand cannons are tied together in the lore. In Destiny 1, Thorn’s bullets caused damage over time – which consequently stops your shield recharge – and was deadly enough to kill in two shots. It eventually got nerfed in D1, though given Bungie’s current predilection toward making everything more powerful, it’s tough to guess how strong Thorn will be on its debut. 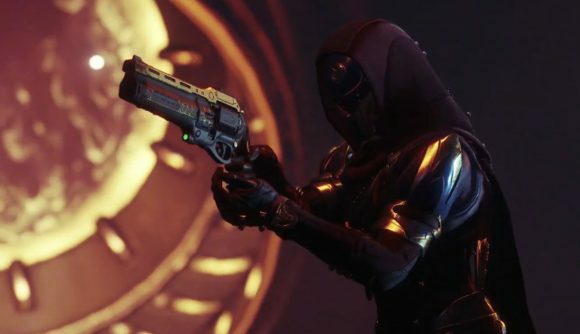 The upcoming season (as Rich, the office’s resident Destiny lore expert, tells me) focuses on the Drifter, who’s likely aspiring to be a Yor acolyte – hence why all this evil hand cannon business is tied into the coming set of updates. While new quests and weapons are business as usual, the split between Bungie and Activision is by far the biggest news around the game – and the biggest uncertainty. Plans for the annual pass look to be continuing apace, but what the future holds once the current content is finished remains to be seen.